One-stop shopping for the coolest products you didn't know you needed. In case you didn't know, OpenSky is your next one-stop shop to find the coolest products you need ASAP (and lots you didn't know you needed, but totally want anyway). With over 70,000 independent merchants combined in one website, you can shop a huge variety of goods and products including apparel, beauty, kitchen tools, home goods, jewelry, pet supplies, and so much more. Intrigued? We've rounded up a few of the coolest things available on OpenSky right now — better have your wallet handy. There are TONS of great deals available, so prices are subject to change. 1. A pair of colorful earbuds in a macaron-shaped case that'll make you feel like playing "Sugar Sugar" by the Archies on repeat. Price $11.65+ (originally $15.99+). Available in four colors. 2. 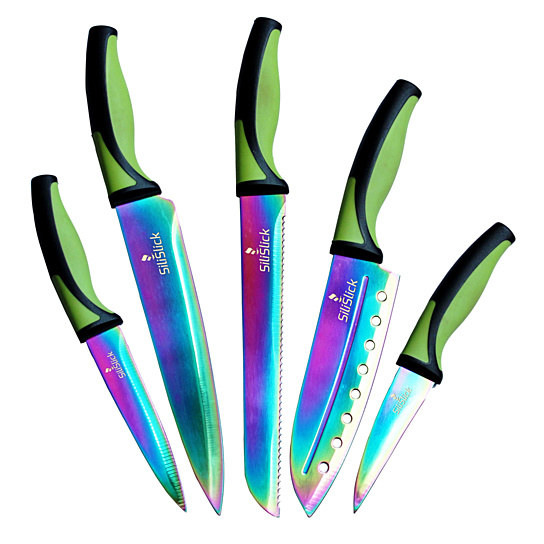 A five-piece iridescent knife set for anyone who wants to taste the rainbow. 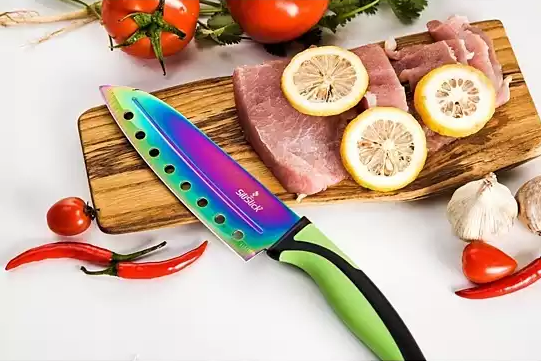 The stainless steel and titanium set comes with a chef knife, bread knife, santoku knife, utility knife, and paring knife. 3. Reflective cat-eye sunnies with acetate detailing at the corners for a little extra somethin'. Price $28.56 (originally $39.99). Available in five colors. 4. Colorful drawers to add extra storage space to your already-loaded fridge. Great for keeping kid-friendly snacks at a kid-friendly height. Price $24.98 (originally $49.99). Available in four colors. 5. A leash umbrella for the pupper who doesn't like getting damp on a rainy walk. Just attach the chain to their collar and you're good to go. 6. A three-in-one tool that chills, aerates, and neatly pours your wine for the perfect rosé happy hour picnic. Store the stainless steel chilling stick in the freezer for a few hours, put it in the bottle, and pour pour pour. 7. A bluetooth shower speaker to play your morning pump up playlist while you lather up. Price $14.99 (originally $35). Available in four colors. 8. A crossbody satchel that goes with anything AND will keep all your belongings perfectly secure. 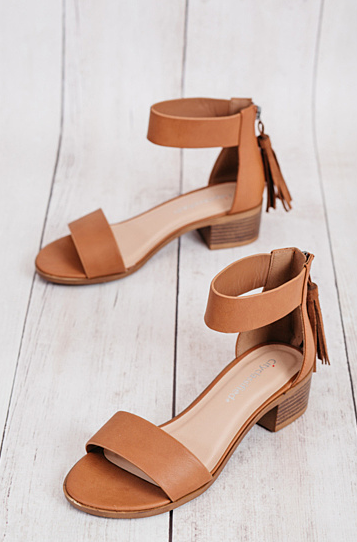 Price $25.50 (originally $59.90). Available in 10 colors. 9. A prawn-shaped plush pillow to make you say, "It's cocktail hour. Shrimp cocktail hour, that is." 10. Whiskey-chilling soapstone cubes for anyone who is sick and tired of watered down drinks. You can also pop them in a microwave to keep other drinks warm, too! 11. Paraben-free lipsticks with a richly-pigmented formula that comes in both satin and matte finishes. Price: $12.48 (originally $24.95). Check out all the available colors here. 12. An off-the-shoulder one piece to add a touch of style to your next beach or lake trip. 13. A quick and easy garlic mincer that doesn't take up a ton of valuable drawer space and will your hands smell-free. 14. A drawstring toiletry bag to keep your hair products, makeup, skincare, and more neatly organized on your next trip. 15. A handheld air conditioner for anyone who's already looking for ways to beat the heat this summer. It has fan, air conditioner, and humidifier functions and charges via USB. Price $24.60 (originally $69.95)/ Available in three colors. 16. A six-port charging station that'll keep the whole family's devices in one handy location. It'll charge iPhones, Android devices, cameras, tablets, and way more! Price $15.99 (originally $79.99). Available in four colors. 17. 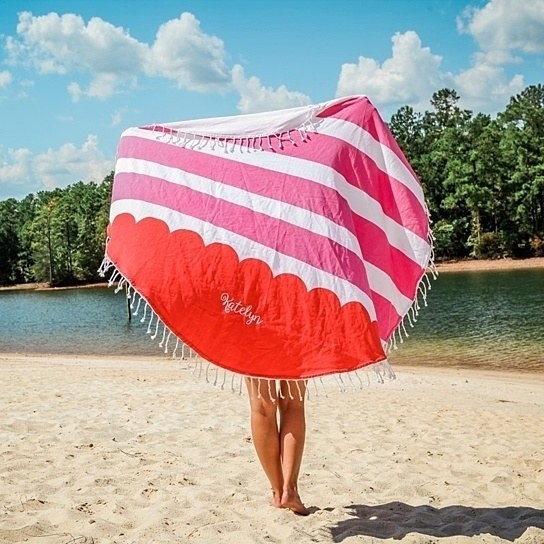 A personalized cotton towel to ensure you never forget where you parked your behind at the beach or park. Just enter either the word you want or your monogram at checkout. 18. A water bottle with a fruit-infusing core that makes staying hydrated significantly more interesting. The bottle is made from BPA-free plastic, and each purchase comes with a 28 recipe ideas for flavor combos! 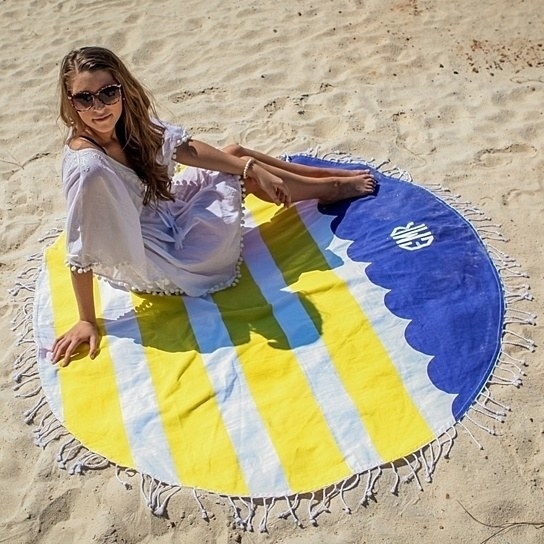 Price $21.65 (originally $30.99). Available in eight colors. 19. A kitchen storage rack to keep your favorite spices, paper towels, plastic wrap, and aluminum foil at arm's reach — and it even has slide-across cutters to make tearing off a sheet way easier. 20. Bird-shaped ceramic folding knives that answer the question "Can I chop this?" The answer: "TouCAN!" Price $18.99 (originally $50). Available in four colors. 21. 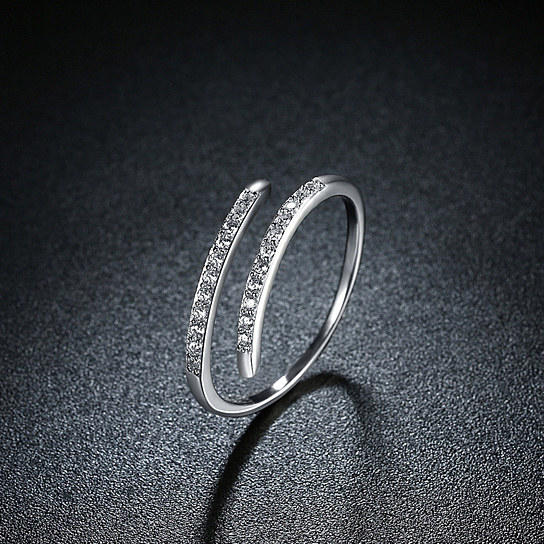 A pave crystal ring you'll wear every day for a dainty hint of sparkle. Price $29.99 (originally $109.99). Available in five colors. 23. A colorblocked dress for anyone looking to add just a hint of color to their all-black-everything wardrobe. 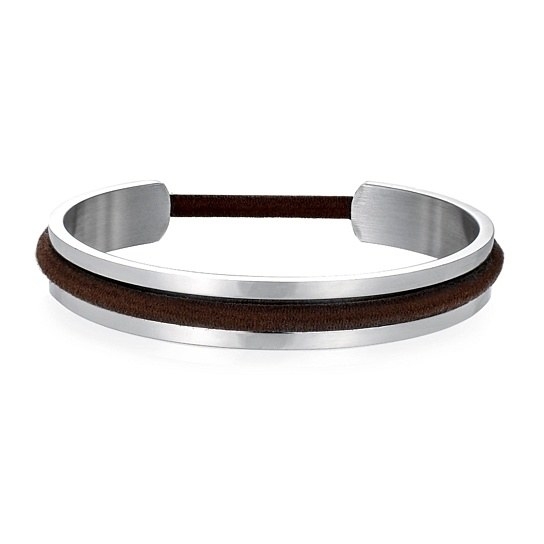 Price $35.70 (originally $99.95). Sizes: S-3XL. Available in three colors. 24. A memory foam sleep mask with built-in bluetooth headphones so you can drift off to sleep in no time flat. It's even machine-washable — just remove the cover and toss in the wash.
25. 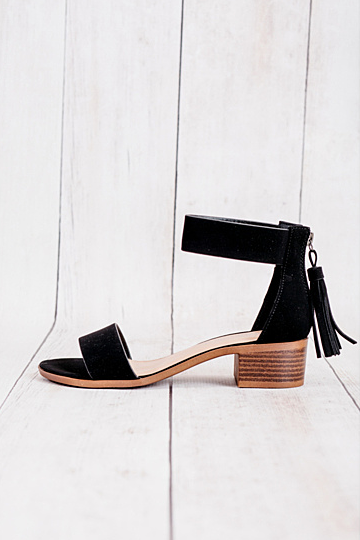 Heeled sandals with a tasseled zipper to add a little pep in your step. Price $24.99. Sizes: 5.5-10. Available in two colors. 26. 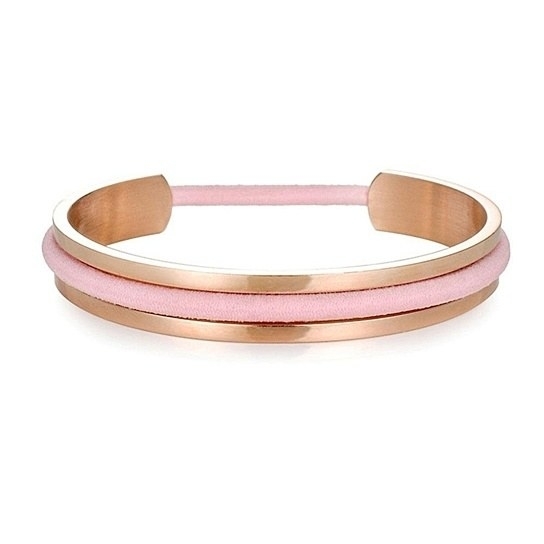 A hair tie-holding bangle so you're ponytail-ready at any moment...without the pesky elastic digging into your wrist. Price $9.98 (originally $39.99). Available in four colors. 27. An insulated backseat organizer that'll take your summertime road trip to the next level in terms of snackage. 28. A grooming glove to make cleaning your pooch as easy as petting them. 29. And a doormat that displays the rules of the house every time you have a party or gathering. You can also use it as a note to yourself so you don't forget the most important grocery of all.